20ft 40ft Explosion Proof Skid Mounted Container Mobile Gas Station is to refueling oils to vehicles and machines. Standard allocation is with Barrier explosion-proof storage tank(single/double wall), Refueling system, Unloading system, Explosion-proof power distribution system, Oil and gas monitoring system, Liquid level monitoring system, Manual measurement system, Lightning anti-static grounding system. 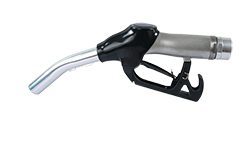 K30 Quantitatative Auto Shutoff Nozzle is speicalized in unit price setting fuction, also price or liter could be set in advance before refueling, it is quite convenient and can be an easy replacement for fuel nozzle and meters. Manual nozzle is made of aluminum alloy. Light and handy, with easy operation, it follows the trend of customers’ need. It could be used for transferring diesel, gasoline, chemicals, as well as special nozzle for LPG.Manual nozzle is made of aluminum alloy. Light and handy, with easy operation, it follows the trend of customers’ need. It could be used for transferring diesel, gasoline, chemicals, as well as special nozzle for LPG. Automatic nozzle is generally made of aluminum. It is exquisite, durable and reliable, which fully meets the requirements of customers. 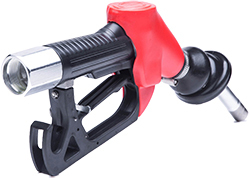 The nozzle is suitable for fuel transfer like diesel, kerosene, and gasoline.Automatic nozzle is generally made of aluminum. It is exquisite, durable and reliable, which fully meets the requirements of customers. 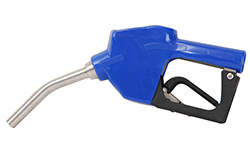 The nozzle is suitable for fuel transfer like diesel, kerosene, and gasoline. If you still have some further question, please send an email to sales@wzxiaoding.com, we will get back to you as soon as possible.